How active are you going to be? = 5-7 days, 2-6 hours a day. Which languages do you speak? = English, Hebrew. Which games do you play? 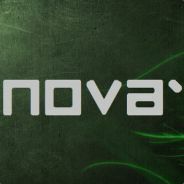 = Counter Strike (Global Offensive mainly), Battlefield, Insurgency, Grand Theft Auto. Which game(s) do you want to play competitively? = Counter Strike. Application and reason = I would like to join Apeiros because I've been looking for a serious clan, although I already made a few good friends out of it. I was invited by Spidi150 and I will be glad to be part of Apeiros.